Today was the day that we have been waiting for. The phone rang. The man on the other end had a ticket out of town with our name on it. It was to a town that we had shortlisted as a long term living investment. Before we hastily made a decision we took the time to talk it over. Surprisingly it did not feel right when we said it outloud. We have done the research. All the evidence said that we could have a fantastic life there, but it did not make us want to scream yes. What happened? Maybe we did not want to pack our things again? Maybe the location did not seem as desirable once placed in front of us? Maybe it made us realize that we wanted another location more? I believe all of those played a factor. I was certain that an offer of a new location would make me jump as long as it was on our immensely researched list of desirable locations to live long term. This place has everything we crave for our family . It is of small to medium population with access to a medium sized major city, access to rugged mountainous wilderness, fishing lakes, great schools, low crime and an easy, short commute that would allow my husband to be home every night. What more could you ask for? It isn’t unlike the other locations that we have shortlisted but it did not draw a quick yes like we believed it would. This location is beautiful and anyone would be lucky to call the Ozark Mountain Region their home. So why the hesitation? 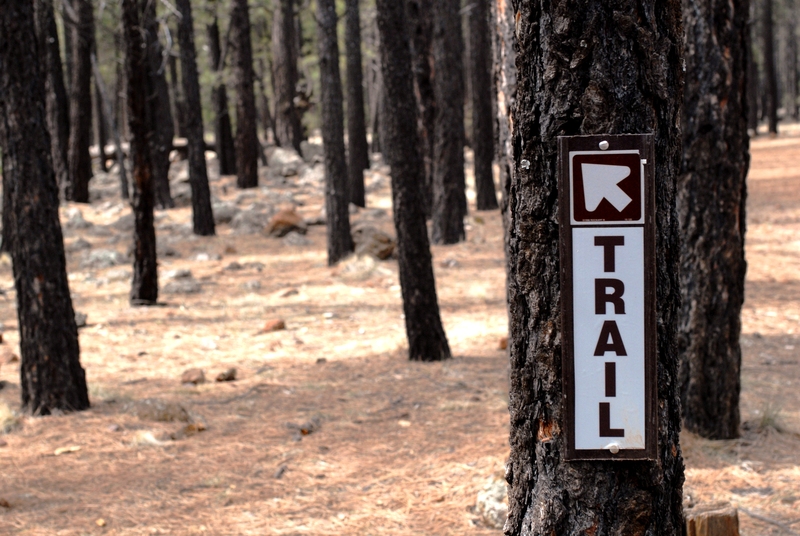 Just because the trail is marked it doesn’t mean it is your path. I know that our lives would be enriched and filled with excitement and adventure in the Ozarks but we have a location that if presented my husband has the greenlight to accept without contacting me before finalizing. That area is what we want. Do I want to leave this desert location that is crime riddled and damaging to one’s soul? Yes, but at what cost? I do not want to jump because our longing to leave here is stronger than waiting. After some thought we declined. Our hearts have picked their new home and we will wait longer for that opportunity. A moment of happiness isn’t worth a lifetime’s. I know you are wondering what location could possibly be so amazing that we will accept peaking our heads out through the blinds calling the police every time we notice suspicious activity instead of packing up and living in the Ozarks? Actually the other night we witnessed a drug deal happen outside our house with a dark colored truck parked in the road blaring some loud music and bass. We did not recognize the truck, only hearing the obnoxious music playing in the middle of the night. The two guys inside the truck kept pushing cigarettes out the cracks of their windows until a little red sports car pulled up, rolled down his window and presented a nicely rolled wad of cash. The exchange was made. We had already called it in earlier with all the car information we could see. This must make you wonder what land we seek that could be more majestic than the one we passed on today that would allow us to be contempt with staying here a bit longer? You will just have to wait and see! I would hate to spoil the ending!